Solutions- Ready MFPs for growing businesses and enterprise workgroups. 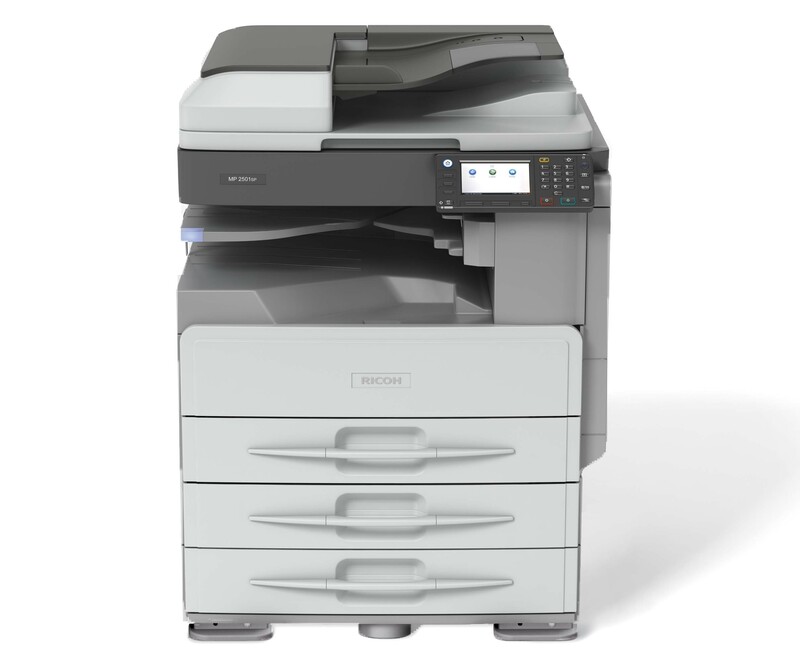 The MP 2001SP/MP 2501SP are versatile A3 mono MFPs for busy workgroups. Packed with class-leading features, they offer impressive productivity and low running costs. A colour scanner, automatic two-sided printing and ID Card copy come as standard. And, for ease of use, there’s an intuitive colour touchscreen. A GWNX controller and optional HDD add everything from secure print to solutions integration. On their own or in a managed fleet, the MFPs give you the flexibility to transform document processes. Now or in the future as your needs change.